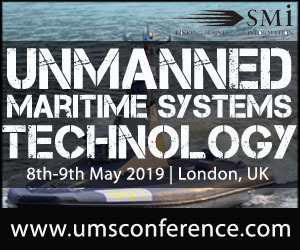 LONDON - April 15, 2019 - PRLog -- An investment worth £75 million has been confirmed for new Royal Navy technology, including robots and autonomous mine-hunters. The funds will be spent on a new joint military and industry hi-tech accelerator, NavyX, and two new autonomous mine-hunter vessels with cutting-edge sonars. These will enable remote mine-hunting in the Gulf at a higher range, speed and accuracy. Defence Secretary, Gavin Williamson announced that this investment will create new capabilities across the Royal Navy, making sure that our warfighters have the very best cutting-edge technology.